A song by Dominic Behan. Cliff used to pull this one out often during our earlier years. In those days I would record our shows on a cassette tape in order to listen and tailor my own participation over the course of the week between shows. The lyrics below are a melange of Behan’s original lyrics and the first verse of a traditional English (some sources say Irish) folk song know as “Love it is Teasing“. On the cassette that has Cliff singing this song from which I originally transcribed (1989), Cliff performed the verse from the “Love it is Teasing” AS the first verse of Behan’s song, then going on to perform the entirety of Liverpool Lou. Cliff denies ever having sung it this way or at least that he cannot recall ever having done so. But for me it is always this way, the song, and I give it to you thusly below. Not actually related to the song as far as I know – just coincidentally appropriate for this page. 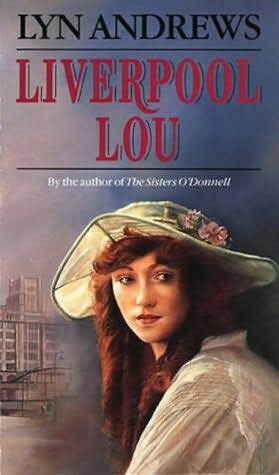 Oh Liverpool Lou, lovely Liverpool Lou. Why don’t you behave, love, like other girls do? Why must my poor heart be following you? Stay home and love me, my Liverpool Lou! And love is a pleasure when first it is new love. When I go a-walking, I hear people talking. Schoolchildren playing; I know what they’re saying! They’re saying you’ll grieve me; that you will deceive me. One morning you’ll leave me all packed up and gone! That I should forget you like I’d never met you. Please tell me their song, luv, was never more wrong luv. Just say I belong, luv, to my Liverpool Lou! *Not from Behan’s actual song but from the old traditional ballad “Love it is Teasing”.